Temperatures in Dubai are rapidly dropping and perfect weather is soon to follow. Winter in Dubai is a great time to get outdoors and enjoy the lovely breeze that comes with this time of the year. There’s no shortage of options for fun activities to try – so everyone should head out and enjoy the beautiful weather! Beach season is here and Dubai residents are rejoicing. It’s the perfect time to get a tan and enjoy the refreshing sea water (in summer even the sea gets warm!) There is a vast variety of beaches to pick from, so whether you prefer playing sports on the sand or drinking at beach clubs, there’s an option for all lifestyles. Dubai has a large selection of camping spots with many different backdrops for people to enjoy a night under the stars. Driving away from the city lights offers campers a chance to properly see the stunning cloudless skies. Some of the best camping options in Dubai are the Al Qudra desert and the Hatta Dam. The first offers a jaw-dropping view of dunes and the second allows visitors to not only enjoy the mountains, but also water sports, like kayaking, in the dam. Golf is one of the favorite sports in Dubai, with major competitions taking place in the city. This is an exciting and relaxing way to spend the day outside, surrounded by freshly cut green grass. Although there are several golf courses in Dubai, one of the best is the Emirates Golf Club, where people are allowed to play both during the day and the night, it is the only night golf spot in Dubai. The fitness industry in Dubai is fast growing, with people finding the best and trendiest places to workout around town. However, a favorite for all of the city’s fitness lovers is an outdoor workout. There are many options, from cycling to jogging by the beach and even stand up paddle boarding. This is a fantastic way to stay fit while still enjoying the city’s views and soaking up some vitamin D.
Dubai is famous worldwide for the desert from which the city rose. A popular option for tourists is desert safaris where they can enjoy the full Bedouin experience while getting a glimpse of what the city was like before skyscrapers took over. This can be done year round without getting too warm, as temperatures tend to drop in the desert. Visitors can go dune bashing, ride camels and even enjoy a traditional Arabic barbecue. Although it may seem unexpected, Dubai is huge on parties. The city has a large variety of clubs, pubs and bars for all different tastes. Beach parties are very popular and the perfect way to have fun while still enjoying the outdoors. Seasonally, there are also more and more outdoor events during winter and spring months for both residents and visitors to enjoy the pleasant weather. 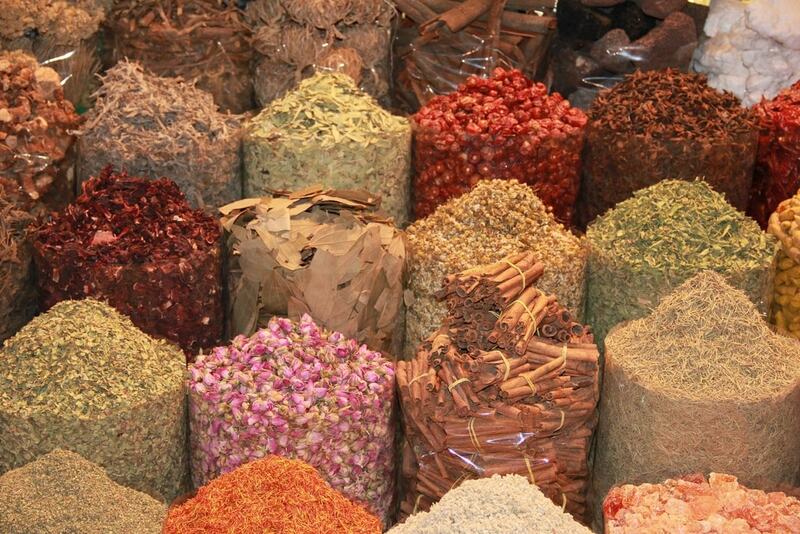 The Gold and Spice Souks are two of the most popular tourist attractions in Dubai. Even for those who don’t necessarily wish to shop, they are the perfect place to take in the culture of the city and see a more simple side of it. Both souks are traditional bazaar-style markets, located outdoors and offering people the chance to walk around the tiny spice stands and the breathtaking gold stores. For anyone seeking a thrill, Dubai Parks and Resorts is a must-visit spot in the city. Located on the road to Abu Dhabi, the venue combines four different theme parks, including a Legoland themed waterpark and a Bollywood Park. There are fun rides and shows for all ages and it is a fantastic place to enjoy the outdoors with the whole family. The spot also has an array of restaurants covering many cuisines and offering a great outdoor dining experience.